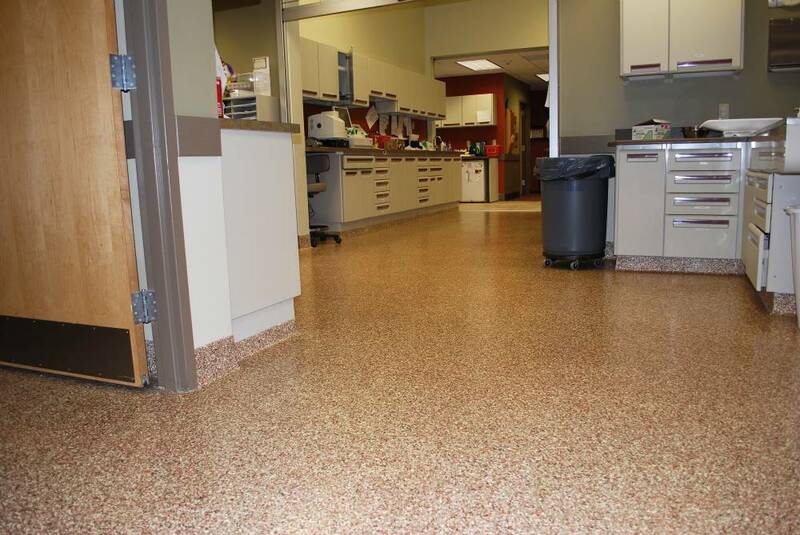 Veterinary Flooring Seamless vinyl chip urethane flooring is easier to clean and more sanitary than tile flooring. 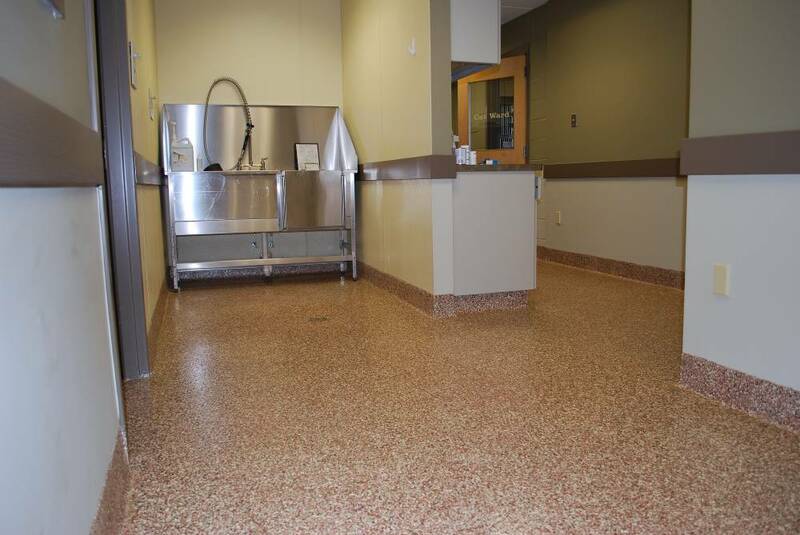 Veterinary Flooring These durable finishes can hold up to harsh cleaning techniques and chemicals. 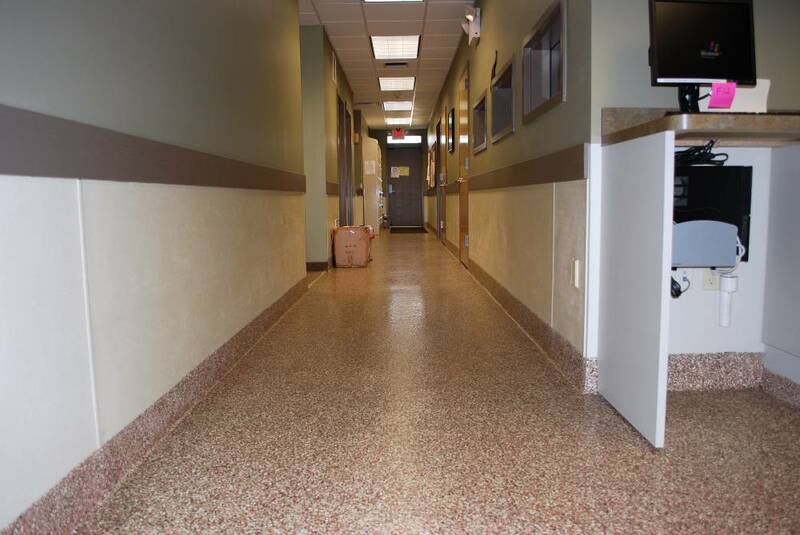 Veterinary Flooring Vinyl chip urethane flooring resists traffic wear and abrasion. 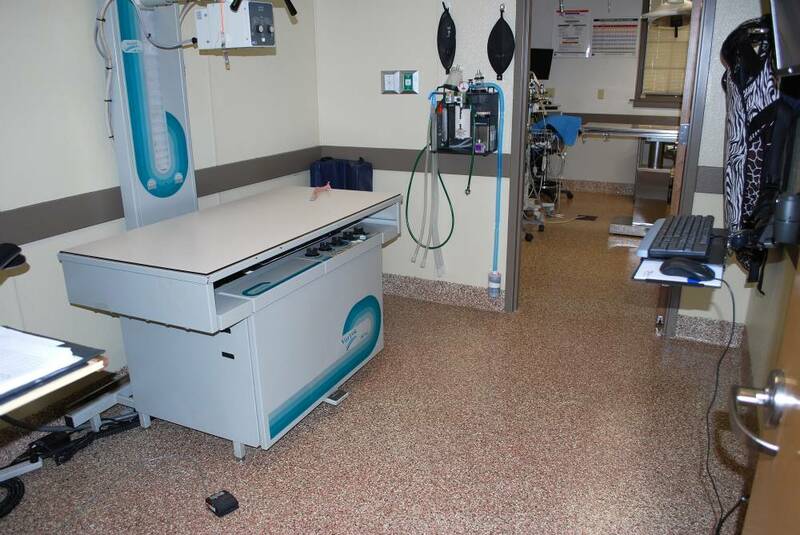 Veterinary Flooring Excellent thermal shock protection and resistance to UV fading and color change. 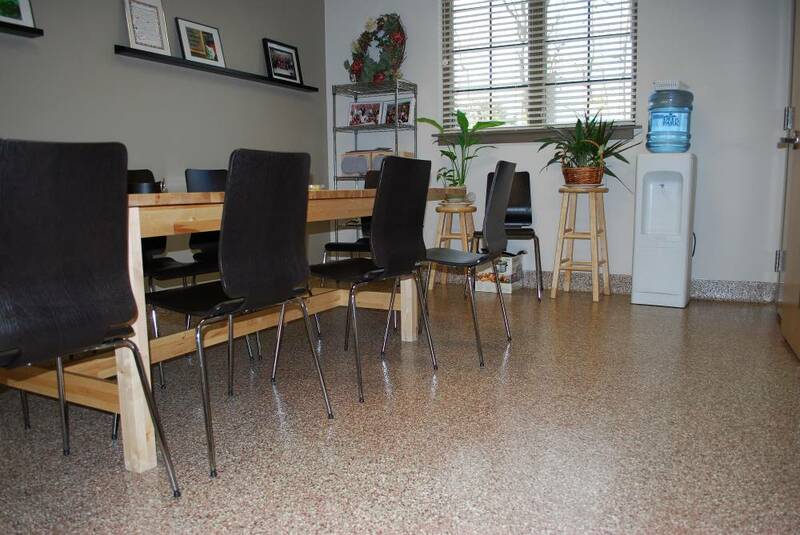 Veterinary Flooring Wide variety of vinyl chip colors and textures are available.